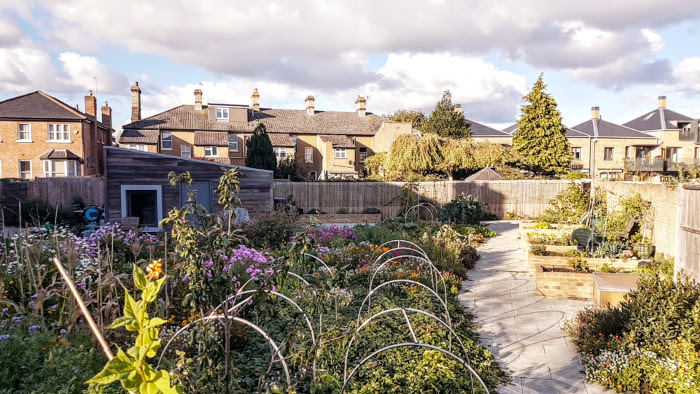 Jim Hudson, RUSS member and PhD candidate researching co-housing shares his personal reflections on RUSS’s visit to OWCH (Older Women’s Co-Housing). 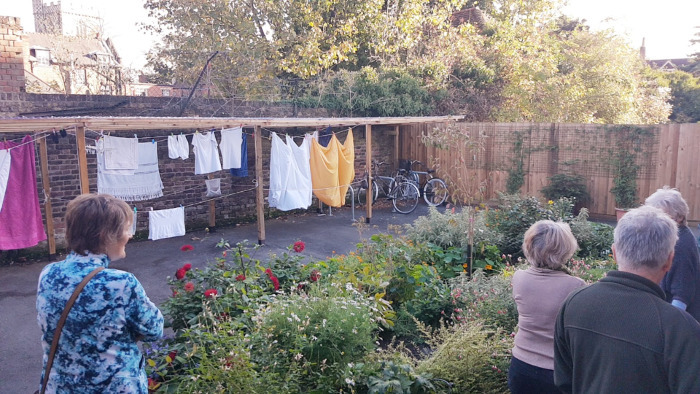 Three of the residents took us on a tour of the whole site, including some of the apartments, a communal laundry (a real space and cost saving for each flat) and – the bit I was most impressed by – a second garden area that uses an otherwise awkward and inaccessible part of the site for growing fruit and veg. The street façade is two storeys to match the terraced housing on either side, but steps up further back into the site, allowing most of the apartments a view over the gardens. 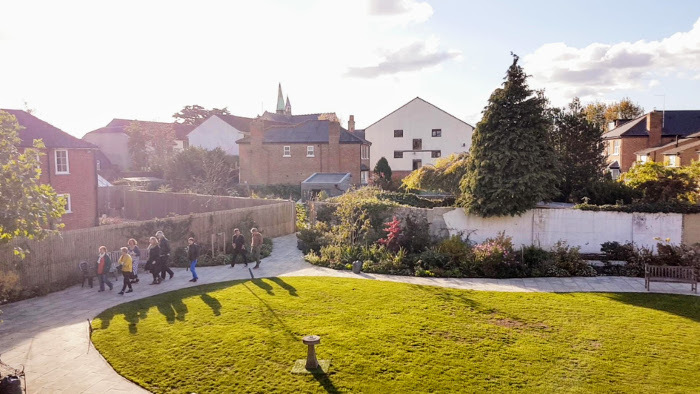 View from the flats overlooking the garden. There’s also a few parking spaces tucked away, again for shared use, and also a guest room (strictly bookable, to save arguments). Everything is designed to save resources and with a sense of community in mind. 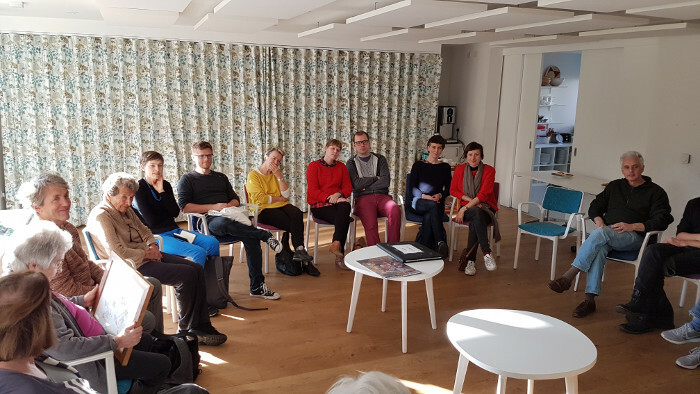 The tour was followed by a round table discussion and a chance for RUSS members to learn from the OWCH experience – how the group came about, the many trials and tribulations of the development process, and the experience of living together. For me, it was also a chance to better understand what OWCH fundamentally is and how it is organised. As I understand it, OWCH is an independent co-operative that is the overall ‘owner’ of New Ground, with a mix of leasehold apartments and a smaller number of apartments for social rent (funded by the Tudor Trust / Housing for Women). 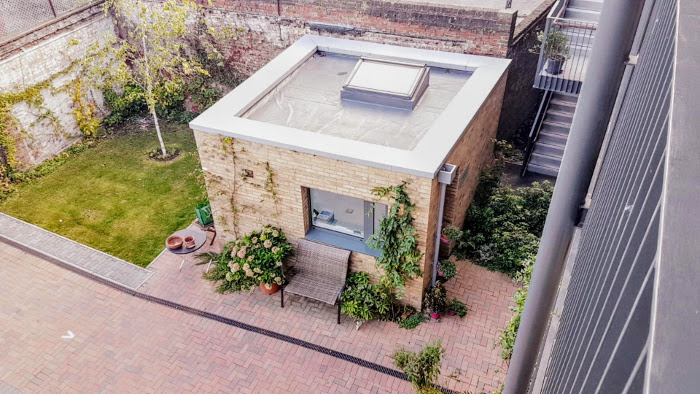 OWCH’s membership is limited to the residents themselves, and around a dozen members on a waiting list (a proportionate mix of prospective owners and renters). 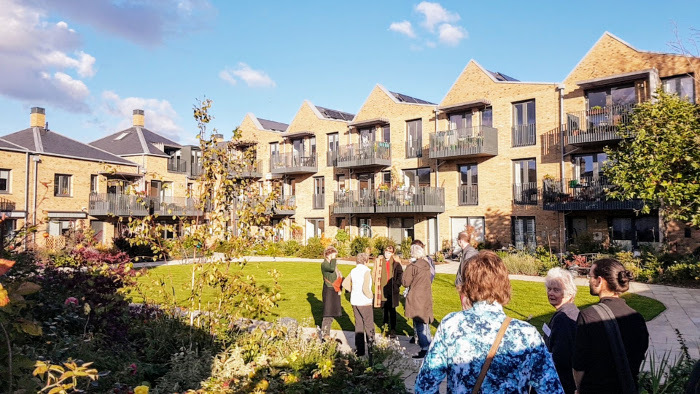 But what our guides for the afternoon emphasised most strongly was the nature of the group as co-housing: OWCH is an intentional community, where the members have chosen each other and committed to actively being a community, jointly commissioning and managing their homes. As such, New Ground is a real model of community-led housing. We came away inspired by what can be achieved with huge perseverance and an ethos of a group of people really ‘doing it for themselves’. A huge thanks to our three OWCH guides and to Maria Brenton (UKCN’s Ambassador on Senior CoHousing and also heavily involved in OWCH) for hosting the afternoon’s discussions. ← Manual Labour Fun Day!